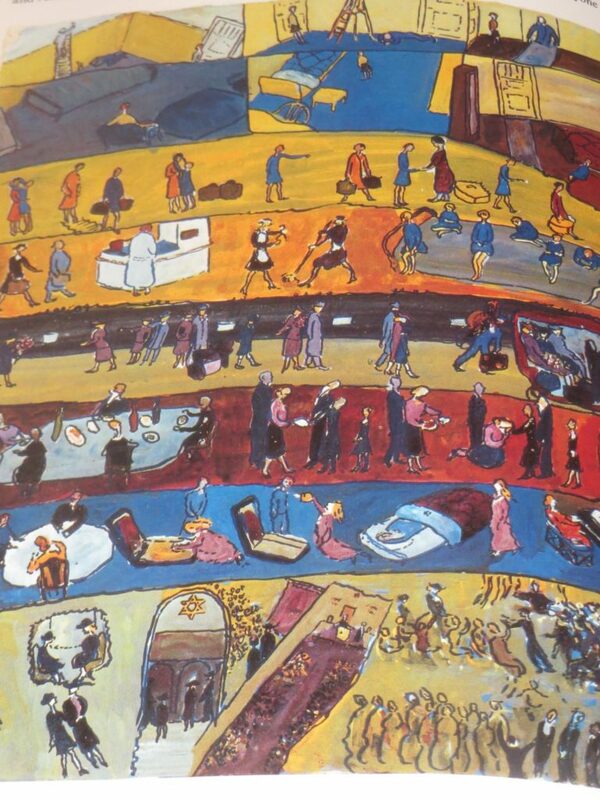 The artist Charlotte Salomon was tragically killed in the gas chamber at Auschwitz at the age of 26, whilst 5 months pregnant. She left behind two legacies: a beautiful collection of her paintings and a fascinating story. 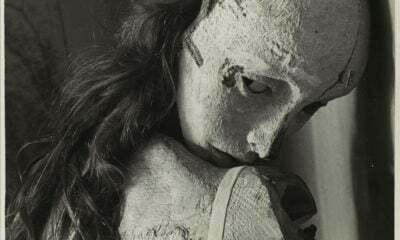 Magda Michalska covered the tragedy of this tale in her piece on Charlotte – Charlotte Salomon: Death, Life and Theater. Then co-incidentally I was lent a copy of Charlotte’s Life? Or Theatre? book which contains over a thousand gouache paintings depicting her from early childhood all the way through to her death. It is a heartbreaking document of self-expression. But it was the fascinating paintings of her childhood in the prelude to Life? Or Theater? that interested me most. 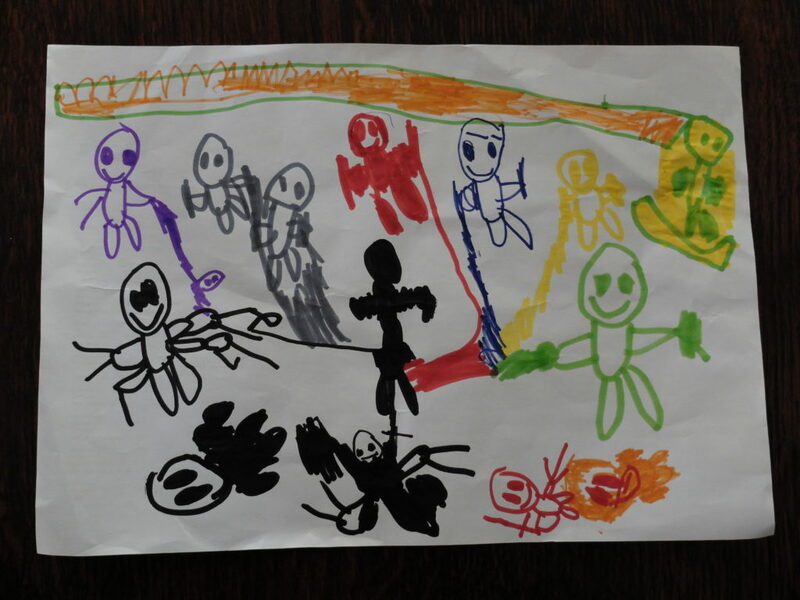 Looking at those early drawings of childhood I was surprised to see how much they resemble the paintings my young son produces – in fact, they are just like the early drawings of almost all children. But Salomon drew them as an adult. It is as if she had direct access to her thoughts, feelings and ideas from childhood, unmediated by her adult brain. Let’s take a closer look. Salomon had a complex and heart-breaking family life – marked by the suicides of nine of her female relatives. But the first part of Life? Or Theatre? 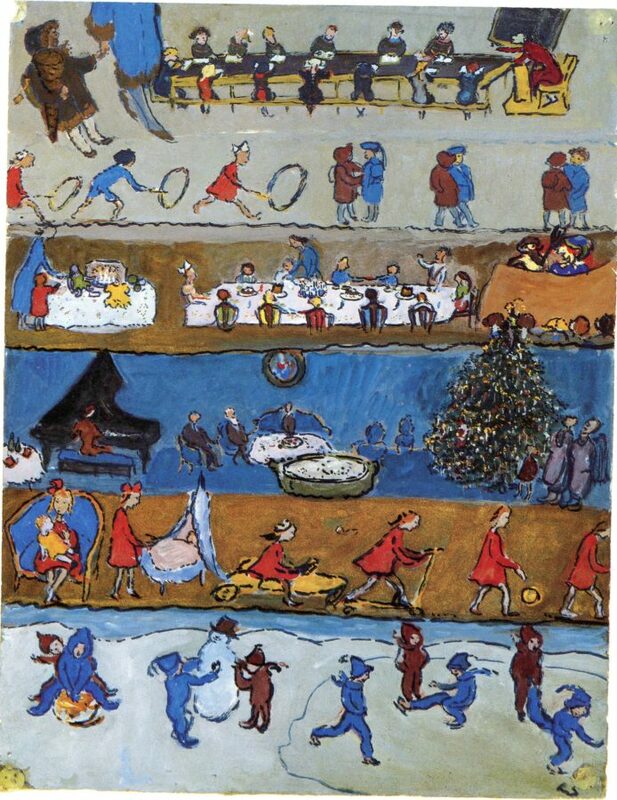 consists of colourful imprints of memories from her carefree childhood spent with her family, governesses and neighbours in the prestigious Berlin district of Charlottenburg. 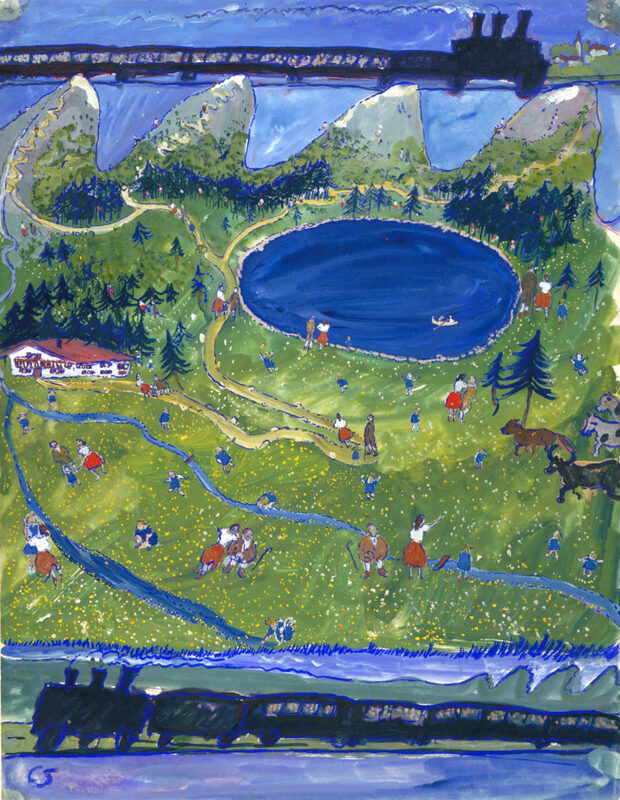 Charlotte Salomon, Bavarian Mountain Holiday gouache from the prelude of Life? Or Theatre? 1940-42, Jewish Cultural Quarter Museum, Netherlands. Born into a well to do family in Berlin in 1917, at the height of WW1, Salomon was privileged and intellectual. 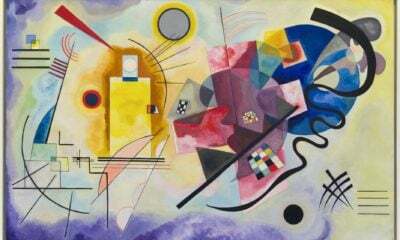 She was not an amateur in art, and her seemingly naive paintings are based on serious theoretical knowledge, art training and exceptional talent. In these child-like images we see a comic book, graphic art style. We see a continuous narrative packed with pictorial devices. Just as in my son’s paintings, we see the same characters appear again and again across the page. 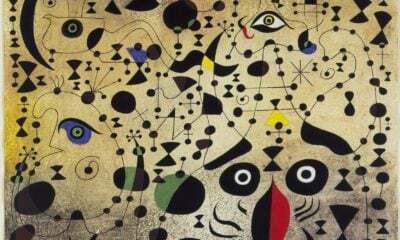 The painting is a story, a timeline, as in a film or a cartoon. There is no perspective, no scale. This is life ‘known’, not just ‘seen’. This is art as a mosaic or a map. We are on a guided tour of the thoughts of the child artist at that precise moment in time. It is magical and symbolic, not a realistic representation. 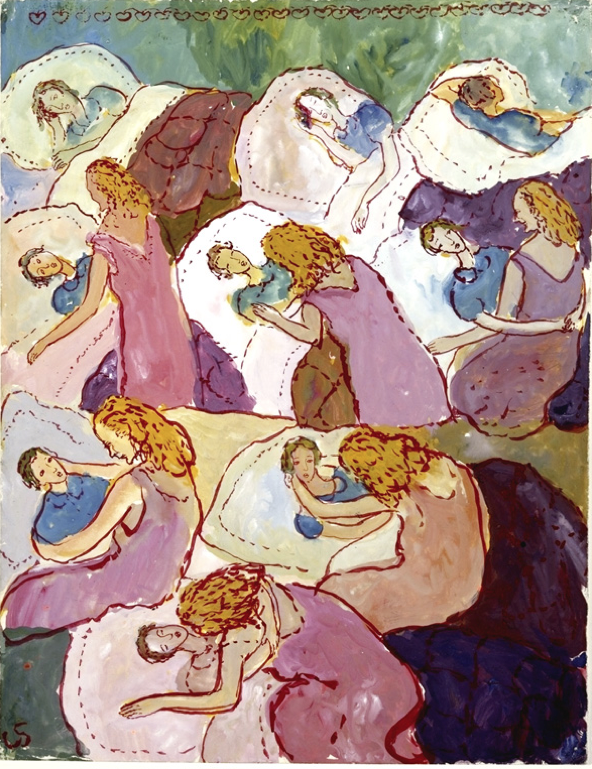 Charlotte Salomon, And Will Return To Our Lovers from the prelude to Art? Or Theatre? 1940-42, Jewish Cultural Quarter Museum, Netherlands. Psychologists say that children use drawing and painting to make meaning. And this is exactly what Salomon was doing throughout her work. In a world that made no sense, a world filled with trauma and horror, she was trying to make meaning. A habit all children have, but which Salomon had to hold tight to, in order to make sense of her short and complicated life. So that she could explore and communicate, de-code and en-code. 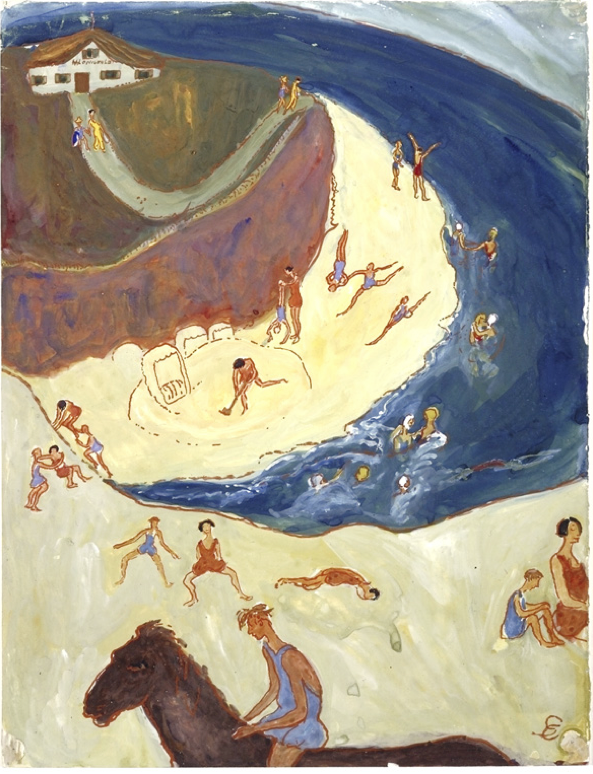 Charlotte Salomon, last painting of scene 2 of the prelude of Life? Or Theatre? 1940-42, Jewish Cultural Quarter Museum, Netherlands. Salomon was a remarkable painter and writer. Her work was both domestic and epic. Psychologically charged, her later paintings speak to us of the dangers of the rise of xenophobic nationalism, a message we would do well to heed in these troubled times. Candy’s remote, rain soaked farmhouse clings to a steep-sided valley in rural Wales. She raises sheep, chickens and children with varying degrees of success. Art, literature and Lakrids licorice save her sanity on a daily basis.